Photo: Roman Brown moves part of a wall out of his way as he looks for a friends medicine in their destroyed home along Seely Drive outside of Hamilton, Miss. after a storm moved through the area on Sunday, April 14, 2019. 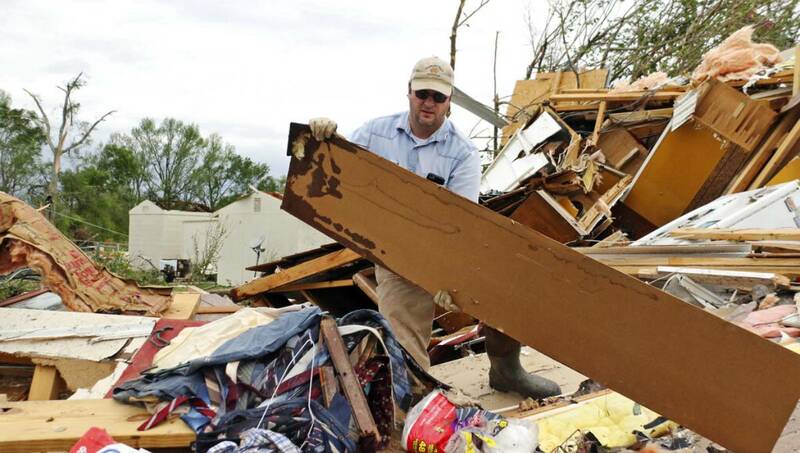 New York, Apr 15 : Powerful storms swept across the South on Sunday after unleashing suspected tornadoes and flooding that killed at least eight people, injured dozens and flattened much of a Texas town. Three children were among the dead.